I've always lived in big anonymous cities. Life here in the village is different. Here, everyone knows your name. My father is from here so I'm known as A's daughter. 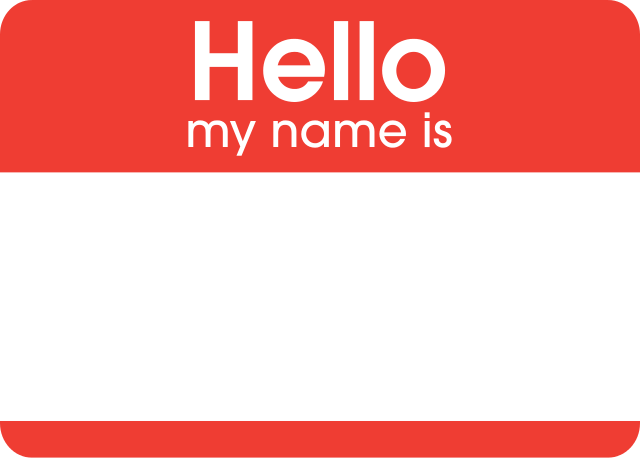 (My father's name is actually M but everyone calls him A – because everyone seems to have two names here: an 'official' and 'unofficial' name – this probably needs to be the subject of a future post!) My husband is known as A's zet (son-in-law). The village has only a few hundred inhabitants and is made up of a few extended families who have lived here for generations so it's not surprising that everyone knows each other. No anonymity here! But sometimes I'm surprised that even in Pazin – a town eight kilometres away with a few thousand inhabitants – it's hard to be anonymous. I was reminded of this recently when my husband and I visited a government office there. He needed a document, so he filled in a form with his personal details. The clerk then told us when we could come and pick up the document. She was friendly and chatty and casually mentioned that she grew up close to the village. “You know that road that leads to your uncle's house?” she asked, wanting to point out to me exactly which house she grew up in. A flicker of confusion must have crossed my face because she paused and asked: “So-and-so is your uncle, isn't he?” I nodded, but I was trying to figure out how she knew who I was. I hadn't even given her my name! Then there was the time the cashier at the supermarket asked my husband how his brick oven project was going. And when someone drove into the back of our car at a stop sign and later the same day, my aunt called to ask how bad the damage was. It's not that my family is famous or anything. That's just how things are here. Like it or not, everyone knows your name! Sretna Nova Godina! Oh boy, do I know what you are talking about. My parents are from a small island near Mali Losinj, and I have had similar experiences when I visit during the summer. Less than 100 residents but they know more about you than you do about yourself. As we say, volilu čakulati. Adio! Oh gosh -- it must be even worse on the islands!